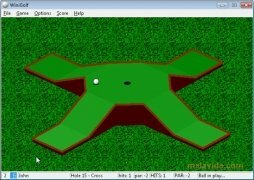 WiniGolf is a free mini-golf game in 3D that has 36 different holes and support for up to eight players. It doesn't need installation on your computer, so it is very easy to use. You only have to press on the exact place where you want to hit the ball and drag the mouse in the opposite direction to carry out that action, indicating the force of the strike with this movement. 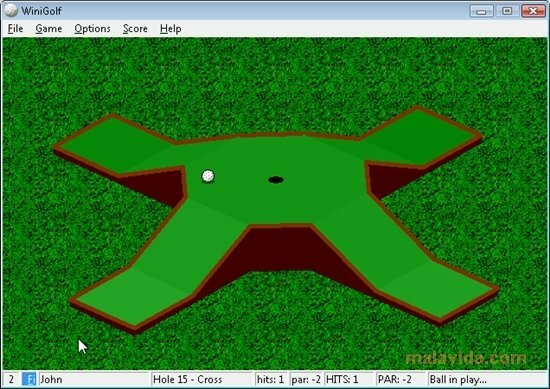 The rest of your effort will have to be dedicated to overcoming the obstacles that exist on each screen, similar to what you can find in any mini-golf. 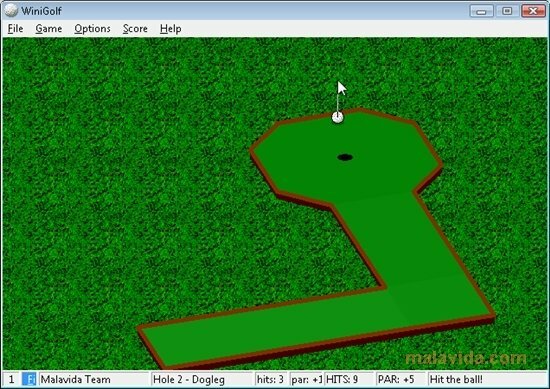 The multiplayer option will allow you to have up to a total of seven rivals, that you will have to defeat in 36 holes with different difficulty degrees. It is possible to determine the number of holes in each game, as well as the specific holes that will be played, so you will have access to all the screens a soon as you launch the game. Furthermore, if you have certain skill you may have the possibility to enter the best player list. With WiniGolf entertainment is guaranteed.